With the heat of the summer in full swing here in the desert…my cayenne pepper plants are bursting with new growth and peppers galore! I just came in from harvesting a little over a pint of cayenne peppers from the garden — this is becoming a weekly routine — and thought I’d share with you a little recipe for the most amazing cayenne pepper hot sauce. It’s my opinion that at least one cayenne pepper plant should be found in everyone’s medicinal herb/vegetable garden. They take well to pot culture. So even if your space is limited…grow cayenne’s, you won’t be sorry! Did you know that cayenne peppers are actually considered an extremely powerful medicinal herb by many — and with good reason, as it has been held in esteme for thousands of years because of its healing powers. I love reading the folklore found in book written by herbalist of days gone by! So many of them — from around the world — have recounted amazing results in the cayenne’s ability to cure a multitude of ailments. Perhaps cayenne pepper is best known for its ability to support heart and circulatory system health. Not to mention, a cup of cayenne pepper “tea” (1 cup of hot water and 1 teaspoon of cayenne powder) has been referred to as a lifesaver in the event of a heart attack! The promotion of proper digestion as it stimulates the release of stomach enzymes and saliva. It relieves pain when applied topically — great for arthritis and sore muscles. Gargle with cayenne “tea” and cure your sore throat. An excellent cold and flu remedy! The capsaicin in cayenne pepper stimulates secretions, which totally helps to clear chest congestion — better than anything else I’ve tried. Topical application on open wounds — although it will burn initially — stops bleeding quickly. 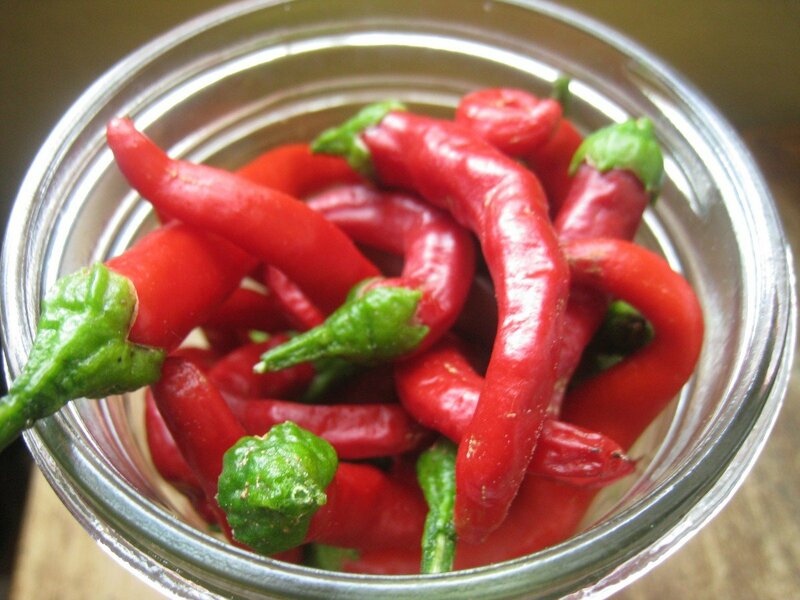 When added to food, cayenne pepper may help with weight loss issues primarily because it’s such a great digestive aid. So, in addition to dehydrating and making my own cayenne pepper powder — which I store to use throughout the year — I love making this hot sauce. It’s a modification from a recipe that Diana, who blogs at A Little Bit of Spain in Iowa, shared with me last fall. Thank you Diana 🙂 And it is by far the best tasting hot sauce I’ve ever had! 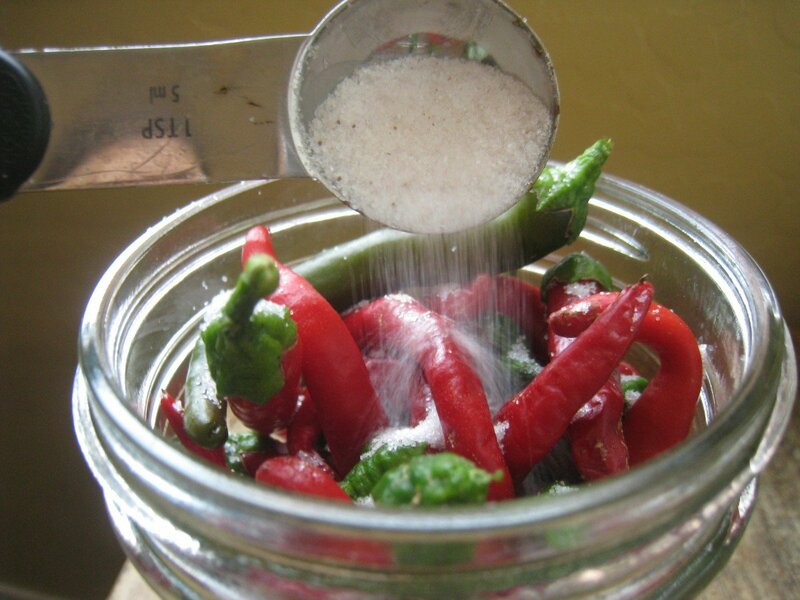 Get started with a pint-sized glass jar and cayenne peppers to fill. 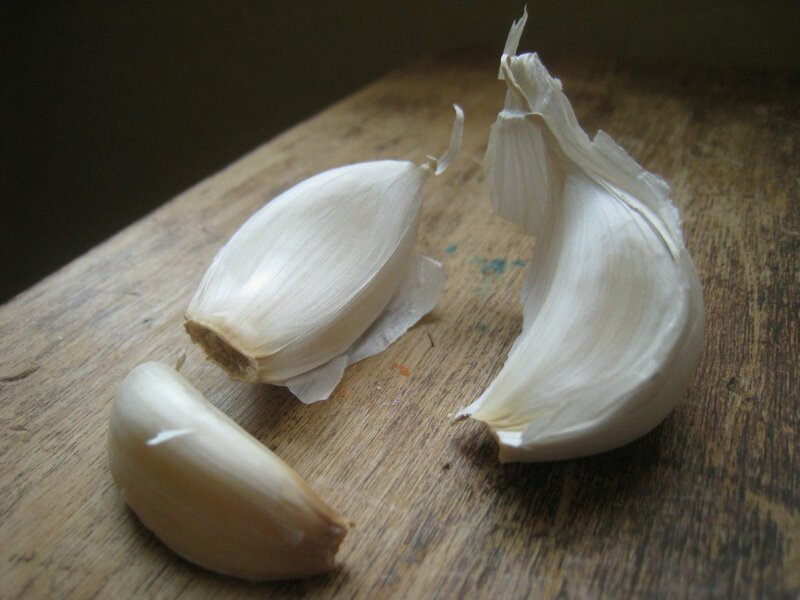 …and a few cloves of garlic, whole. I actually put in 4-5, we like garlic ’round here. Then pour in enough water to cover everything. Give it a good shake, then place in the pantry or cabinet for 2 weeks to ferment. 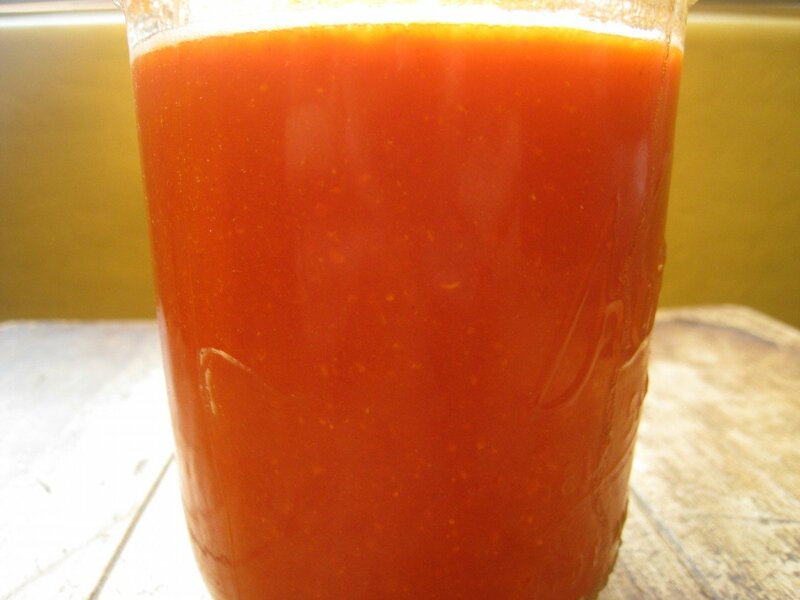 After the fermentation period, toss everything in a blender and grind it up…hot sauce! That’s it! It’s really that simple and the flavor is out of this world. Note: If you have questions about fermentation, I strongly suggest you head over to the expert! Wardeh of GNOWFGLINS has an amazing online course and has written a fabulous book that contains everything you could ever want to know about this traditional method of food preservation. Tell me about your favorite homemade condiments! Ok..yum! Farm boy and I are definitely going to go put some of this in the pantry to work!! so you grind up the green tops of the peppers into the sauce also? a beautiful looking sauce. Yes leave the green tops on but snip off the stems. The green part adds even more of an aromatic effect as well as flavour. This is great! Definitely going to try this. Stop by my blog tomorrow for the Carnival of Home Preserving and link this post up or another “canning” one. I wanted to ask that too. You just leace the green tops on and grind up the whole thing? I really enjoy your posts so much and have learned so much from you. I’d like to know if its tops on or off before you grind as well. I’d sure like to try this one!! First, let me say, thanks so much for all you do! You have been a wonderful and amazing resource for me as we are learning and growing towards sustainability and homesteading here in NW Ohio. I can’t wait until we get to the point where we are growing most of our medicines … slowly, slowly, slowly wins the race, right? Thanks for being so patient with all of us newbies! I don’t have any peppers yet from my garden buit I have some chipotle peppers I bought in the Mexican food section at the grocery store – so I tried them with the same recipe. will let you know how it comes out in about 3 weeks. This looks delicious & easy. We go through A LOT of hot sauce in our house and garlic as well!. I am with the other posters though, leave the green tops on?? 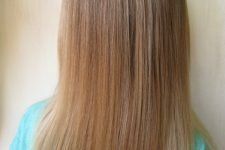 I’ve been enjoying your site and all your great tips. I’ve been following your blog for a bit and wanted to say HI from Ca. Thank you for sharing all of your wisdom you are learning…love those old time remedies! This recipe looks easy and if my pepper plants would hurry up and produce I will definitely be making this. Around here we all like some good HOT sauce, can’t keep enough in the house! 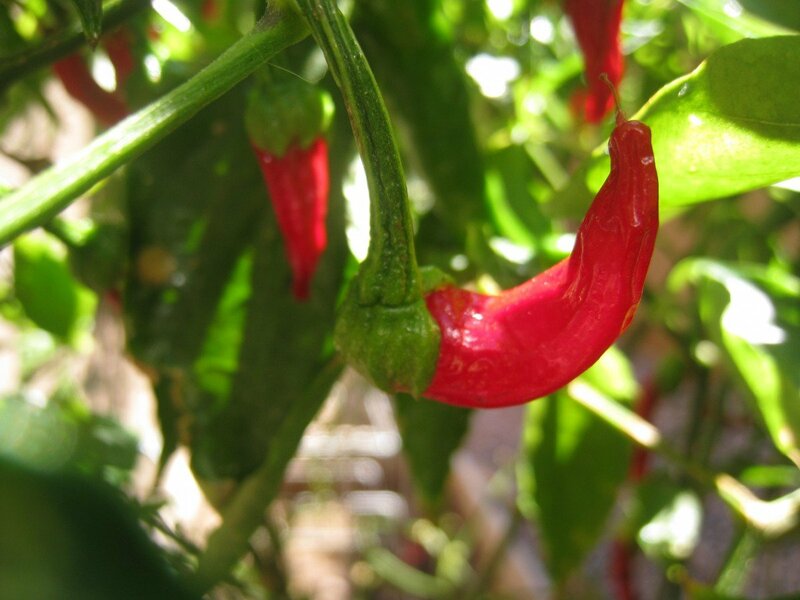 Have a blessed day…..
Last year I was really sick and discovered the healing benefits of cayenne. It really is amazing. The recipe is just too easy. Now to find cayenne plants. Thanks! Hope your day is extraordinary! I just planted hot peppers! 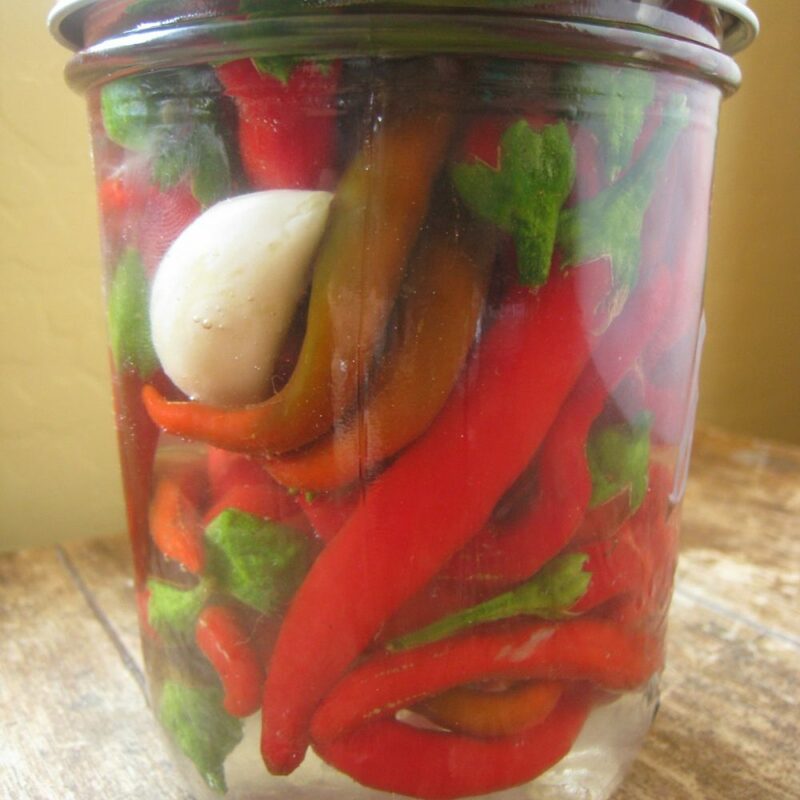 Thanks for a simple and fermented recipe…love hot sauce on my eggs in the am, a good wake up call. Just curious, you fill it with water and not vinegar? I would like to know about the vinegar and canning. I have used vinegar and pepper then ground and dried the pepper for pepper flakes. I like the idea of grinding it all together. Wow this looks fantastic and so easy! Im totally pinning this. My husband LOVES hot sauce and he would be over the moon if I made him some myself. I cant wait until hot pepper season rolls around. Thanks! Ooh yum! I’m bookmarking this to come back to when my cayenne plant produces! Wow, I can’t believe it’s really that easy! We go through a ton of hot sauce. This year I will make some straight from the garden. Thank you so much! I love love love that this recipe requires so little time and ingredients! No hot water canning baths, no blanching, no trimming… Cayenne peppers did so well for us here in NH last year that I still have so many dried peppers that I didn’t bother planting any this year. I think I’ll go buy a plant or two and give this recipe a try! Oh, and I found your blog via pinterest and just pinned this recipe so I don’t loose it. I really look forward to flipping through the “pages” of your blog over the next few nights! Andrea, I just completed this recipe and O-M-G! Best Hot Sauce EVER! I will NEVER buy hot sauce in a bottle again! Thank you so much for this wonderful recipe (and ALL your awesome recipes, actually!)! I just love your blog and all the great education you provide to gals like me! Oh, btw, I forgot to mention. I used dried peppers (bought a big ol’ bag of them at Walmart since they were much cheaper than fresh peppers and I’m on a pretty tight budget) since I live in a tiny apartment and don’t have room to grow anything (except some sprouts in my kitchen via my EasySprout sprouter). so manny good things to discover. we RV travel so there will not be even a container plant. however, i can find a farmers market and make a purchase. thank you!!! Hubby will be so happy. Now I just need time to do this! Miss, when you toss everything in the blender, does this include the liguid as well? Yes, you dump the entire contents of the jar into the blender (including the liquid) and blend it all up for a few seconds until it’s all a beautiful red liquid with lovely seeds floating around. Pour it back into your original jar and keep in the fridge and use it on EVERYTHING! It’s so DELICIOUS! Andrea is a genius! Andrea, just made my second jar of this. This time, I’m doing it in 32 oz. jar with 11 cloves of garlic (Going to be so yummy! I finally remember to get some beautiful garlic cloves at the store!) and 5 tsp of sea salt and water. NOTE: I use part of an onion on the very top to be a “weight” that pushes down on everything as I screw the lid on. Awesome! Cannot wait to taste this with the garlic! The first jar (which I made on June 16th) was delicious (even though I didn’t have any garlic cloves in the house to add). After that I made a batch of this recipe using a bag of sweet peppers (yellow, orange and red) that I got from Walmart. (Still I forgot to get the garlic cloves!) Fermented it two weeks and then blended it all up and then combined it in a big jar with what was left from my original batch of hot sauce from July 16th! Just finished using the last drop of the awesome combined fermented sweet pepper and hot chili pepper sauces yesterday. Best schtuff ever and so deliciously spicy! I will be using your wonderful recipe for the rest of my life. 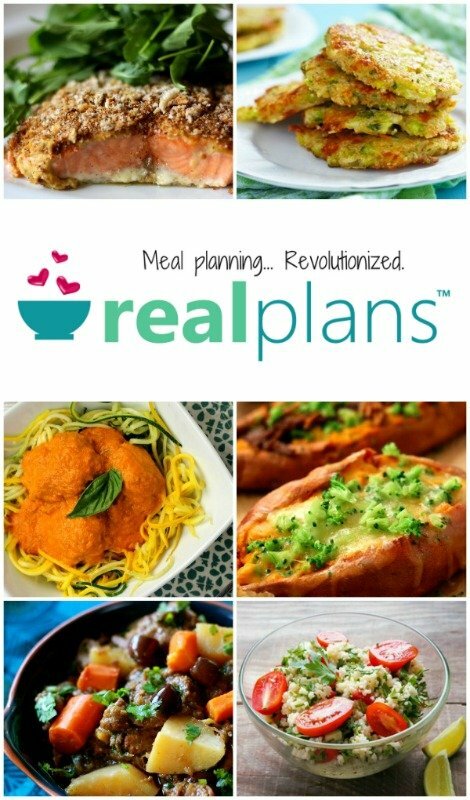 So much fun to make and so much fun to eat on all my favorite dishes! Hey Patty, have you ever experienced the lid expanding during the fermenting process? Andrea… My cayenne peppers are sTill green, haven’t turned red yet! Is it ok to use the green peppers?? trying out the recipe, but I am not sure if I should have the mason jar tightly sealed or not… I put it in the cupboard tightly sealed, and there is a lot of pressure building. I loosened the top, and it started bubbling like a champagne… Is this good? should I leave it sealed? Mine’s been bubbling as well. Is that okay? Mine has been fermenting for about ten days and has started to get some scum on top… is that mold, and if so is it safe? it smells like it’s going to taste great though. Hi! Great sounding recipe! Ou ever try infusing Vodka with cayenne? For say….a tasty and spicy Bloody Mary? Thanks I tried the Cayenne recipe, how easy and the hot sauce is fantastic, what an easy fail safe method, my daughter in law just picked and has her jar processing, so next year I plant more Cayene. My question is does this same recipe work for Habanero peppers I have a enouh of them for a few batches also, next question if it is to hot what do I add to dilute, vinegar??????????? I just made this with japapenos – so mine is a green sauce, but it’s really good! Thanks. Hello, thanks for all the advise…I have a few questions and I kinda need a fast answer, as I have about five lbs of serenos, and cayene peppers ready to can, freeze, sauce, etc…in the past, i was told to boil the combination and then put them in a food processor till liquid…now it’s just put them in a jar with water, salt, garlic..sit till they ferment…sounds to easy…I would also like to know if cayene peppers can be turned red after picking, and has anyone sewn them together till they are needed…I was the first manager of GEORGE JONES and I want to give some of this to him and Nancy…thanks for your help, please anyone answer to let me know what to do…. Does it have to be Sea salt??? I got canning salt and regular salt!?? Hi! I am wondering if the jars can be stored without being refrigerated? If so, how long? I am thinking about making some of the sauce and shipping it so just wanted to see if it will keep without being refrigerated. Please let me know, thank you! Ok mine has been in the cupboard for two weeks–do I skim the mold from the top??? some of the peppers came out of the liquid so they have brown on them–should I throw them away. This freaks me out. OK. I am not a canning person. So when you say to put everything into the blender you mean everything, including the water? Or just all the peppers, garlic. I can’t wait to try this. Great idea for all of those extra peppers. Can I do this with tabasco peppers? I can’t remember which kind I got at the farmers’ market. Can I do it with either kind? And does it have to sit out of can I ferment in the fridge? Why are there not answers to these questions??? If you are going to post something like this, please take the time to respond to these important questions. I agree! I have cayenne peppers from a neighbor’s garden sitting in my fridge. I got really excited findin this post, now I want answers to those questions to make sure I do this correctly!!! I too want to know about questions ,I just set them in the pantry . I’d also like to know about the lids, scum, and vinegar. Do you put the lids on the jars? If so, should they be loosely placed or should the bands be tightly placed? Should the scum/mold be removed before grinding? I am assuming this is removed kind of like the sauerkraut process. Can vinegar be used in place of water? Is there an advantage to using water rather than vinegar or vice versa? I can answer some of my own questions that might help the rest of you. First of all, some of my peppers were not quite ripe. I used them anyway. I ran out of Sea Salt in the process of doing this. I used canning salt in a couple jars and kosher salt in others. They all taste the same. I placed the lids on jars and bands. I didn’t tighten them down completely. I had a little mold after two weeks. I skimmed the mold from the tops of the jars and put the entire contents into my blender. I prefer a smoother blend, so I eventually switched to the baby food grinder. (Even if you don’t have babies, this is a great addition to the kitchen, and you can find them for as little as $12-$15.) I did add a little more salt and a tablespoon of apple cider vinegar to each pint. I thought it added a little flavor, but the sauce would have been great with or without. I can hardly wait to have some guests to try it! I didn’t try to can it; I’m afraid that heating the peppers will take away from the rich flavor. I will definitely add this recipe to my harvest recipes! Oh man, I wish I would have done this with all my hot peppers! Best, easiest, most amazing hotsauce ever! Hi All, really late replying… if you boil the sauce for a minute or 2, then can quickly, the jars will seal and you can keep this awesome stuff out of the fridge for about a year. I’d remove the green top as they add a bit of bitterness to the sauce. To change things up try apple-cider vinegar (and healthy/medicinal ingredient to have in your diet). You can also make this sauce with ANY pepper, each has it’s own unique flavor profiles! I live in the uk and found that this recipe worked great for me in the summer months, using any dried peppers, but not fresh, and in the winter, I only end up with a foul smelling water, and no fermentation. Is there a best temperature to do this in? Hi. I don’t have many answers, but I can say that fermenting any vegetables like this is incredibly good for you, and infuses them with beneficial bacteria, like yoghurt… BUT if you boil or cook the sauce at all it will kill off all the beneficial live culture. Thanks ! This looks quite good quite good. Maybe I can work with this a bit to get that Chuhula (sp?) flavor of there garlic hot sauce recipe. Can you use green cayenne peppers? My husband prefers eating green ones. Re: Angie: yeah go ahead and use green peppers, the only differences would be slight changes in hotness and sweetness, oh and color, right. I found this recipe about 6 months ago and I was instantly intrigued. I have a cayenne plant that is producing heavily and I recently became interested in pickling. While researching pickling I found this recipe but was apprehensive to try because I know so little about fermenting and the process. I came to this page over and over looking at the recipe, I had no idea that people were still writing comments and questions. I hadnt noticed the thread off comments. Now that I know people are just as curious as I am, and since people are still coming back for info, I wanted to share my experience and maybe answer a question or two some of you may still have. I started on July 21. I packed a 1 pint jar, narrow mason, exactly as stated in the recipe above. I was sure to fill the jar to the top with water, so the lid had contact with the water and there was no air gap. I tightened the lid firmly, (remember this), and put the jar NOT in the cabinet or cupboard, but on the countertop, under the window, in a corner. No direct sunlight, but it wasn’t dark by an means. After 4 or 5 days I noticed creases, or dents in the lid. Reluctantly, I loosened the cap and it started bubbling and fizzing like CRAZY. So much so that some liquid was bubbling over. It smelled freakin’ fantastic!!! I called my kids in so they could witness fermentation hard at work. The carbon dioxide build up was about as impressive as the smell. After showing off my new found culinary capabilities I put the lid back on and placed it back on the countertop. This is where I became super curious; had I just ruined my sauce, what was with the bubbles, what the heck was up with the lid denting, is this working as it should, in fact, how the heck does this work? I used a wide mouth mason jar, not sure how big a factor this is. But instead of placing this jar on the counter, I placed it in the cupboard. And I did not screw the lid on tight at all, just a couple turns to ensure it was on, but not firm in any way. I was thinking I didn’t want the pressure to build or the lid to dent. I don’t want to make assumptions here, so call them hypothesis. The lid being on too loose let in too much oxygen. Placing it in the cupboard, where it is warmer than on the countertop, created a more inviting environment for mold to thrive in. Just my thoughts. Back to my first batch and what I learned. As of today, 8/3/13, it’s still bubbling, still smells awesome. 10 minutes ago I went in the kitchen loosened the lid about 1/2 a turn and up came the bubbles. Not very violent, but definitely noticeable. I haven’t removed the lid since that first time. I think another 3 or 4 days and then ill blend it into a sauce. 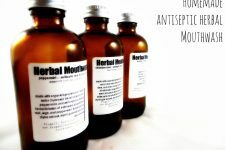 My research taught me that oxygen is the enemy but I received mixed signals, some people say that an airlock is an absolute must and that any exposure to air will allow oxygen to penetrate the liquid and cause mold growth and other bad things to happen, others point to the time honored tradition of open crock fermentation. I’m no expert, but based on what I’ve read and experienced, I’m under the impression that carbon dioxide will keep oxygen from penetrating the liquid, or brine as some has called it. The trick it seems is to keep out the oxygen long enough for fermentation to start. This period seems to be 3-5 days. NOTE: For those that already understand fermentation, skip this. In terms that allowed me to finally “get it,” fermentation is bacteria that eats sugars and poops lactic acid and farts carbon dioxide. The lactic acid creates the sour taste and preserves the food and the carbon dioxide, as it rises, pushes out any oxygen trying to penetrate the liquid. Please note, I’m not positive of this, I’m currently researching this. Some have said that a lid will keep oxygen out and CO2 in, others say pouring olive oil on the surface will do the same thing, not allow oxygen in, but CO2 to escape. In summary, and this is my humble opinion, but I think the trick may be to fill the jar to the top with water so there is no air gap, and then “vent” the jar starting when the fermentation starts, about 3-5 days in. (You can tell by the bubbles rising, or trying to rise, in the jar) If some bubbles over and out, don’t worry about it, just wipe the jar clean and replace. I vent the jar pretty much every day. Just turn the lid enough to see the bubble start racing to the top. Enjoy the smell, then tighten the lid after a few seconds (10-30) and put it back. I hope this helps somebody out there. I’ll be posting my results soon. I’ll also be experimenting with other peppers, spices and herbs, and posting those results. What if u dont have enough peppers to fill the jar? Still fill the whole way w water? Two weeks! Trust me you will smell it! I’d go at least a week some only go a couple of days some go months! 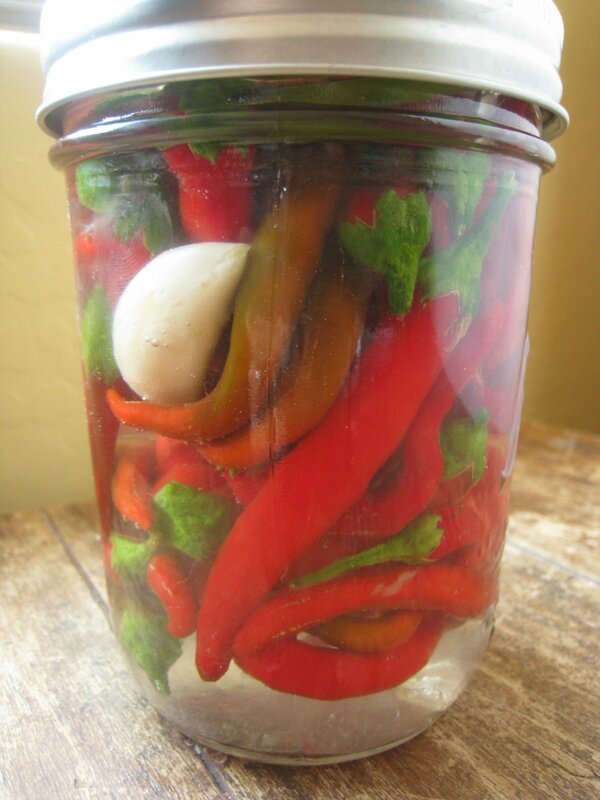 just make sure theres enough brine (salt water) to cover the peppers and garlic keep the cover loose so it can breath. Thank you for the explanation Luke, really helped! I was wondering also as some were above, if anyone knows whether there is a flavor, a reason, or fermentation difference if using water vs. vinegar. Most of the same recipes I’m finding online all call for vinegar, but this one does not. Curious about opinions on that. yeah?? looking at the other link, vinegar or water..which is it? Most of the other recipes I’ve read use a lot of vinegar, but I like the flavor of this one much better. I did add a tablespoon of cider vinegar at the end of my batch, and I thought it was perfect. Sorry the entire link would not work. Copy and paste to see their instructions. First time fermenter here! I know gases form and this is fermentation. But the cap on my jar is majorly bloated. Is this normal? Is there anything I need to do at that point? Assistance is appreciated! I leave my my lids loose enough that the pressure doesn’t build. you just want to keep the “treasure” covered with the brine to keep it safe. I keep it on a plate in the pantry to catch any overflow.If you keep it tight you have to burp it now and then because it can blow! I just got done making my 1st batch of this incredible recipe, and I must say I’m overwhelmingly happy with the results. I added extra garlic as suggested, and threw in 3 habanero peppers from my garden. I checked it at 1 week, and when I moved it, some of the juice squeezed out from the pressure. I opened it at this point, to check for mold and there was not. I also turned it over at this point, since I noticed I didn’t put in enough water. I wanted the peppers on top to get into the action. I flipped it back over a few days later when I noticed it was leaking a bit. This was probably relieving the built-up pressure. When I went to mix it, I also added tablespoon of cider vinegar. The sauce is amazing. I did strain it because I wanted to put it a real bottle, and had a Tapatio bottle, but the little lid that prevents too much hot sauce from pouring out was too small for my chunky mix. The strained hot sauce was fantastic, and I’m adding back the rest of the mash to my next batch. I’m heading back out to the garden to pick more peppers, and start my 2nd batch ASAP. Thank you so much for this recipe, I will be making this ALL the time. (this time with even more habaneros). I only have 4 peppers but im trying it. they are nice sized n i added 3 cloves of garlic. how do i know when its fermented enough? What a great and easy recipe! I made this first a year ago with dried cayenne’s from my fall csa and then again this summer using fresh serranos without garlic. 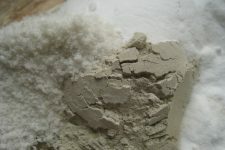 the first time i encountered no white film on top during the fermentation and the second time there was a light white film that is easily removed with a metal spoon – which occurred about one week into the process and didn’t come back. Just made my 1st batch. very colorful in the jar. Look out wings , here we come. I just finished fermenting the peppers, blended then strained the mixture thru a fine mesh strainer… The taste of the hot sauce is excellent and I will use the “mash” in future salsa’s and sauce’s… Loved the flavor and simplicity, Thanks! This was very easy and awesome. I had a HUGE amount of cayenne peppers (I’m not sure what I was thinking….lol) and this was perfect. I strained it and then used the mash to make a milder hot sauce. I’ll be making one more batch to give to friends. Thanks! I’ don’t have any canning experience. I’ve used cayenne/Tabasco, and serrano pepper and both are great. I believe you can use any peppers or combination and have used milder pepper to take up space. Since there weren’t answers to a number of questions I just winged it and haven’t had any problems. I tightly seal my containers and although the lids occasionally bulge they have not exploded. I also haven’t any issues with mold, but the brine can turn a little cloudy on the bottom. The jars are very pressurized, be careful opening, and I get a champagne like fermentation when opening. To minimize air I make sure that the jars are filled to the top with overflow when the lid is screwed on. Every batch I made was perfect except one which I threw out. The batch wasn’t sealed as tight as usual and did not appear to be fermented. In hindsight it was probably alright, but I wasn’t sure since it was different than expected. I’ve also used sea, kosher, and regular salt and don’t notice a diiference. I have a safety concern… Shouldn’t there be a certain level of acid to prevent spoilage? I thought so too, this would have to be refrigerated in my opinion, or have some vinegar in it and be hot water bath canned. Can someone tell me how long these will stay in jars, safe for consumption, without the water bathing? I’ve only done the water bath process. I have tons of peppers, but want to know how long they will be safe, with this method, and how to store them – cabinet, or refrigerator? Made this with my 11 year old sons harvest of chilli peppers, worked a treat . Thank you, Julie. I chkd and flipped my jars every 24 hrs… I had no pressure built up over 13 days! Shouldn’t there be some Vinegar of some sort in this? My boyfriend is looking to do his own hot sauce this year and is uncomfortable with not having the acidity in to help preserve this and doesn’t want to waste his peppers. I made this recipe one year and it wotked great! I dont think you need to, but i kept mine in the frig after blending. This a very powerful, wonderfully tasting cayenne sauce. Thank you very much! HAPPY THANKSGIVING everyone, be safe traveling! Let me add that I indeed noticed that you didn’t mention the use of any vinegar in this recipe and that’s fine for those don’t want to or didn’t. I added some bc I’m a vinaholic!! 🙂 be well y’all! Anyway, I’ve started another qt jar but with all roasted DRY cayennes and fresh roasted garlic and some different flavorings, just to see what I can do!! 3wks and I’ll blend it also! PS let me know how I can tone down the heat so the not so brave can also enjoy some! Lemons or limes come to mind, but I think that is going to alter the main flavor TOO much….? my caycay crop is a bust this year! super sad but might have enough of dried and some already processed from last year to get me through the winter but deff not through harvest ’17…. DOES anyone have a bona fide cayenne supplier I can purchase about 6-10lbs from? I really got spoiled (blessed) last year!! I have a quick question about the fermentation – do you leave the lid of the jar tightly closed? Or is it like Kefir, where you have to leave it slightly opened? I’ve never fermented before, and don’t want to waste my only crop of cayennes and mess it up. Very excited for this! Can this be canned in a water bath canner? I am wondering if the jar should be tightly sealed as were many others. I wouldn’t want it to blow!